You are here: Home / Blog / Extra-Curricular Activities / Do Homeschoolers Get Snow Days? Homeschool moms get used to questions from non-homeschoolers. Some questions arrive with the seasons, including in the fall, of course: “Have you started school yet?” and in the spring: “Have you finished school yet?” Some homeschooling families make no distinction between starting and stopping learning, so the question is odd to them. As I’ve written before about the homeschool year, other families do follow the school year with explicit study of academics, while their friends in the same homeschool group might make their own calendar. Another seasonal question frequently comes up when it snows here in the mountains of Virginia. 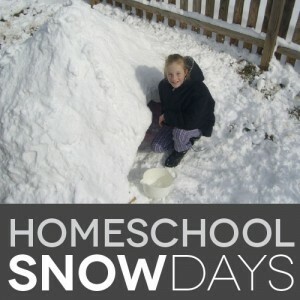 When it snows enough to cause travel problems and cancelled activities in the community, homeschoolers are just like schoolers — our activities are cancelled. 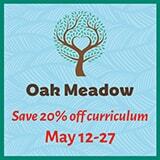 Non-homeschooling parents are frequently unaware how thoroughly integrated homeschoolers are into the community. Homeschooled kids are enrolled in gymnastics, music lessons, youth groups, Scouts, museum programs, and art activities with all the other children in your area. Many of these activities follow the lead of the local schools. If school is closed or dismissed early that day for inclement weather, then the activities are cancelled. In this sense, homeschoolers get a snow day, too. Homeschoolers also frequently gather for homeschool co-ops for academic or social activities, or they meet up for clubs and classes sponsored by a homeschool group, such as book clubs, science labs, and robotics teams. These are most often made up only of homeschooled students, sometimes meeting at times when other kids are in school, and many of them “count” as part of a homeschooled kid’s academics. 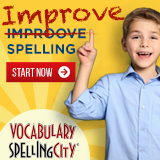 A lot of times, these homeschool-centric activities will be held even if the local schools have closed. With a smaller number of students and no school buses involved, parents can make an independent decision based on their own travel routes. Just this past week, our academic co-op met on a day when all the surrounding school divisions were closed for several days due to severe cold and snow. Usually we’ll make sure most of the families can attend, and even if one or two may not be able to make it, we’ll hold co-op. Other times, too many of us say our roads are not passable, and we just cancel co-op. The notice goes out on our Facebook private group page, and we stay home. Of course, as we’ve seen, homeschoolers aren’t necessarily home at all, so a lot of times, the question is a little too off-base to be especially funny to the homeschool crowd. Yes, we may be at home when it snows, either because we have no activities scheduled outside the house that day anyway, or because our community or homeschool activities are cancelled just like school has been cancelled. Yes, we could go on with structured studies, if that’s our family’s approach; obviously snowy roads are not a consideration in getting to a learning environment. We want to play in the snow. Our kids want to play in the snow. Even for homeschooled kids, if we live in a place where it may snow a lot several winters in a row and then not so much for a couple of years, we want to take advantage of it when we can. There are snow angels to make, snowmen to build, snowballs to be thrown, and snow forts to be built. And there is the inevitable warm-up with hot chocolate. Of course, being at home, we might drift back to our usual sneaky learning ways — drinking that hot chocolate while we read aloud to the kids, or gathering around to watch a PBS documentary. My homeschooling friends who live in dependably snowy climates have told me they don’t pay much attention to snow days. Their kids are used to playing outside in the snow as a matter of course, and there are snow-related chores like shoveling sidewalks and clearing driveways. The snow is no big deal, and homeschooling doesn’t look any different on the days the snow comes down. But in the places I’ve lived in Virginia, North Carolina, and Mississippi-for-goodness-sakes, a significant snow is occasion to gaze out the window and contemplate how much will come down and how much fun we’ll have in it. Things change a bit as the kids get older, of course. If teens are taking outside classes or enrolled in community college, or if they have ongoing projects they’re working on or books they’re reading, they might study right through a snow day, or, as my son did last year, mix a little back yard snowboarding in with the academics. « What Have You Done for Homeschooling Lately?